Bandung is the capital city of West Java province in Indonesia, a city of more than 2.393 million inhabitantsas of 2010. In ancient times it was reportedly a village which consisted of only 25 to 30 houses. 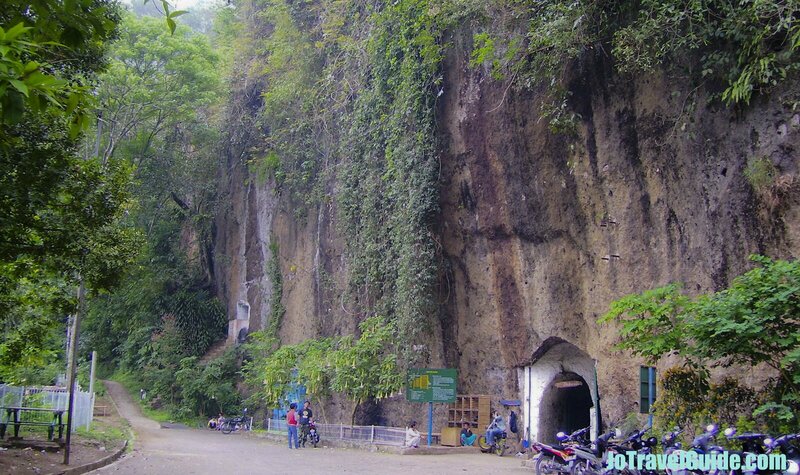 This tiny village itself was then part of the Sundanese Hindu Padjajaran Kingdom. The Kingdom's territories once reached as far as the seaport of Sunda Kelapa, now part of a district in Jakarta, and was attacked and conquered by Muslim troops from Banten (in the northern part of West Java) in 1579. The attack also ended the two hundred year old Sundanese kingdom in West Java. Despite the attack, Sundanese traditional arts and performances are still kept and played until today. For more details about their arts and performances, see Things To Do in Bandung here. A few years later, the Dutch arrived in Java and started to conquer the island. In the late 1700s, the Dutch administrator started building a road connecting Bandung with Batavia (now Jakarta), Bogor, Cianjur, and Sukabumi by deploying local workers. The "Groote Postweg" (Great Post Road, now Jalan Asia Afrika) was also built as the main road across Bandung. Herman Willem Daendels, the Governor General of the Dutch East Indies (now Indonesia), expanded further by building the Great Trans Java post road, connecting the town with Batavia in 1808. 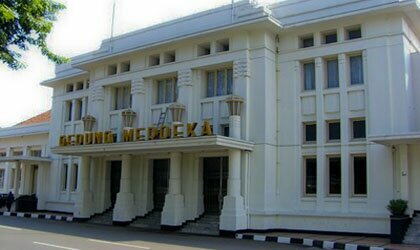 At that time, the town became the Dutch administrative centre and tropical art deco buildings were built as Bandung has a comfortable climate, with temperature variation between 10's°C (50's°F) to high 20's°C (80's°F). 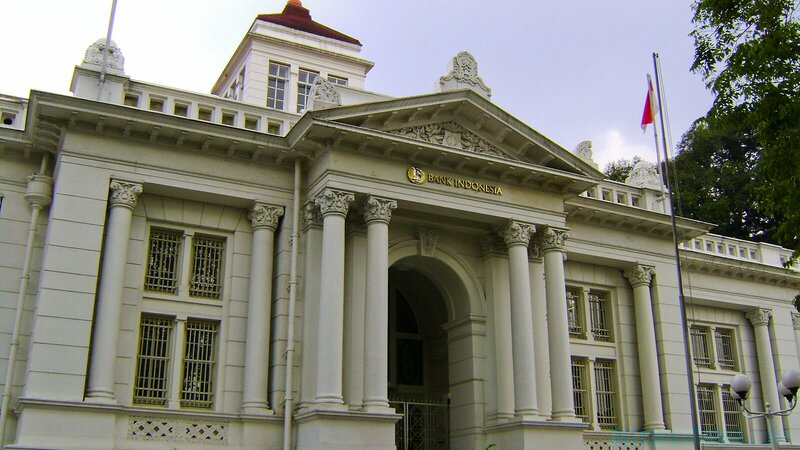 Click here for historical buildings in Bandung. The town was nicknamed "Parijs van Java" (Paris of Java), with about 150,000 multi-ethnic dwellers in early 1900. Today there are still hundreds of tropical art deco buildings in Bandung, such as Hotel Savoy Homann, Villa Isola and so forth, similar to those seen in Brazil, Cuba, and Miami. Bandung was formally founded in 1810 by its "Bupati" (mayor) R.A. Wiranatakusumah II and today, along with its three neighboring districts (district Bandung, district Subang and district Garut), the number of its population has exploded to more than 10 million, inclusive of more than 7000 foreigners. Local people speak their own dialect called Sundanese language, which is spoken by more than 20 million people, mostly in West Java. 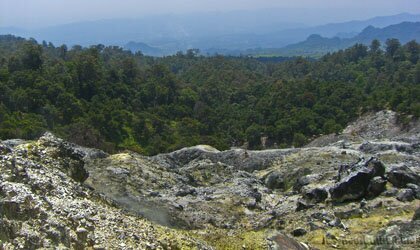 Bandung is approximately 165 sq.kilometer in size (63.7 sq.miles). The city's highest point is to the North, where many great cafés and restaurants are located. 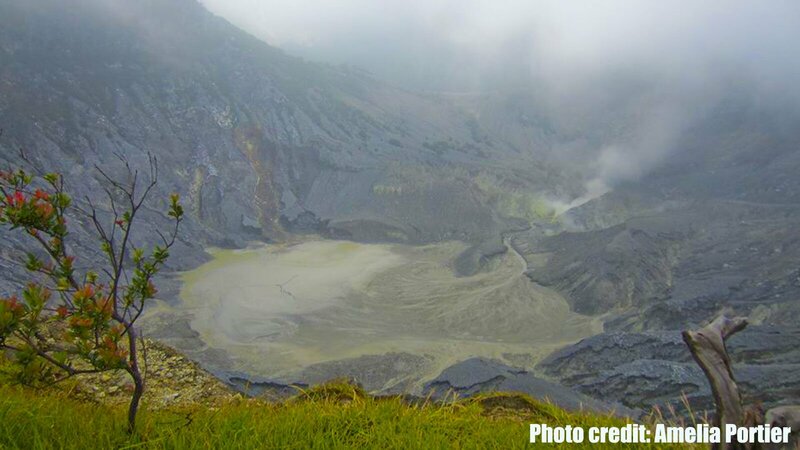 Tangkuban Perahu, where tourists usually flock to see an active volcano's crater from a very close distance lies also to the north of town, approximately 30 kilometers away. From 18 to 24 April 1955 Indonesia held the first Asia Africa Conference in Merdeka Building "Gedung Merdeka" (Independence Building, as seen on right) in Bandung, where the leaders of 29 third world countries, representing half of the world population gathered. The Non Aligned Movement was formed as a result of the first Asia Africa Conference. In April 2005 the current leaders of these countries with an additional 74 countries (in total, over 100 countries) gathered again in Bandung to mark the fiftieth anniversary of the Conference, where the United Nations Secretary-General Kofi Annan was also present. 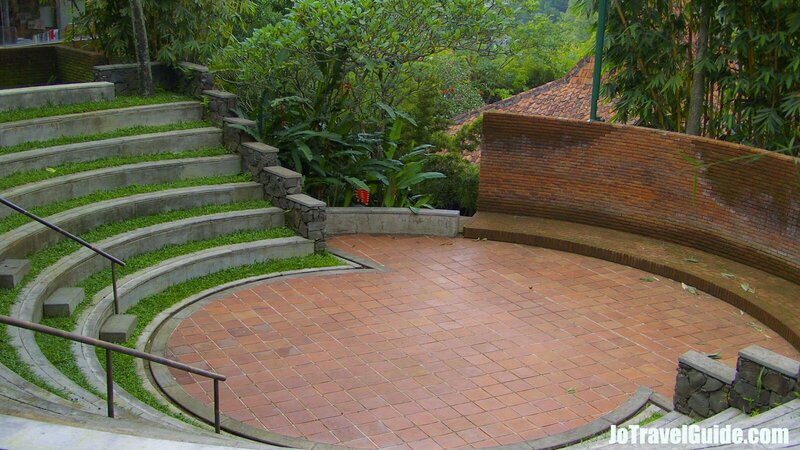 Bandung is also famous as an education city in Indonesia, where hundreds of educational institutions are available. The first technical college (Technische Hogeschool) was founded by the Dutch in 1920. Later named Institut Teknologi Bandung (ITB), it ranked 15th in the Asia Pacific in 1999 in the Science and Technology Schools category by Asiaweek magazine. It was also in ITB where the first Indonesian Art Academy was established in 1947, initially for training art teachers. Soekarno, the first president of the Republic of Indonesia, graduated from the school of civil engineering in this university in the 1920’s. Bandung strengthened its name as a technology related city when Dr. B.J. Habibie, the third Indonesian president, then the Minister of Science and Technology, built an Indonesian aerospace company, named IPTN, on 26 April 1976. Located in the Bandung suburban area, IPTN has sold numbers of turbo-props aircraft and helicopters, such as the CN 235 and NC-212, in Indonesia and overseas, as well as built parts for major international aircraft manufacturers, including for the latest airplane Airbus A380. Apart from aerospace, many other technological industries also set their head offices in Bandung, such as Indonesian Telecommunications, the National Armaments company, and the Indonesian Railways. Bandung has continued to change. Though the traffic is acceptable to some people, it is better to avoid traveling on major roads during weekends and public holidays because they are usually clogged by visitors, mostly from Jakarta. A normal travelling time of 40 minutes could extend to 2 hours in bad traffic jams! Afternoon temperature is around 30°C (86°F) and drops to about 17°C (62°F) in the evening and early morning. 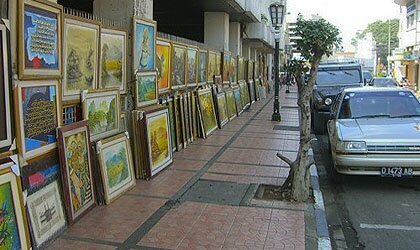 Although certain areas in Bandung can be polluted and very dusty, such as Jalan Jenderal Sudirman, there are many interesting places to visit within the city and nearby, and the city is still famous for a wide range of considerably cheap bargainable goods. Where to shop in Bandung? Click here!. Last but not least, the people are generally very helpful and friendly.